Mr. Tyson graduated from York University in 1967 with his B.A. degree in Political Science and also completed an Honours Degree in Administrative Studies in 1980 through the extension program. In 1967 he joined Rio Algom Limited as Industrial Relations Assistant, Mining Division, and was subsequently promoted to Personnel Supervisor, Corporate Division. From 1969 to 1974 he was Personnel Specialist with S.C. Johnson and Son (Johnson Wax). 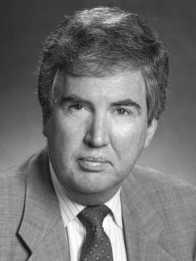 In 1974-75 he was Director of Personnel for American Express and from 1975 to 1978 he was Manager, Salary Administration for Inglis Limited. He joined Price Waterhouse Associates as Senior Consultant, Human Resources consulting group, in 1978 and was promoted to Manager in 1981. He obtained the Certified Management Consultant (CMC) designation in 1982 and the Certified Human Resources Professional designation (C.H.R.P.) in 1989. In July, 1983 Mr. Tyson formed the independent consulting firm of Tyson & Associates Limited. Mr. Tyson is the author of the book, HR Manager’s Guide to Profit Sharing in Canada, published by Thomson Reuters (Carswell) and the Canadian Compensation Handbook, published by Canada Law Book. He has also published articles on Compensation, Office Automation, Recruiting and other aspects of Human Resource Management in the Financial Post, The Financial Times, Canadian Banker, The Northern Miner, The Journal of the Board of Trade of Metropolitan Toronto and other national publications. He is the Editor of the Carswell Compensation Guide-a loose-leaf subscription publication also produced by Carswell-Thomson. Tyson & Associates Limited has an extensive network of professional consultants and is able to provide additional staff if the project so requires. The firm will only work in associate arrangements with well qualified, competent and ethical consultants.